Here I am, back after a brilliant Sunday, typing away at my laptop even as my eyes burn from exhaustion. But write I must, for it is because I write, did I get that brilliant Sunday in the first place. The build up to yesterday was a very confusing one. Almost two weeks of indecision, whether to go or not, how to go, cab or bus, will is be safe, considering the remote hours I will be traveling, will hubby be able to manage Sid… many and many and many questions. What clinched the deal finally was perhaps the temptation to listen to two wonderful speakers slated to speak at the event, and a chance to meet a co-author friend for the first time, a veteran blogger himself. And the icing on the cake was finding a like minded blogger friend from Pune, so finally I had company for the travel too. 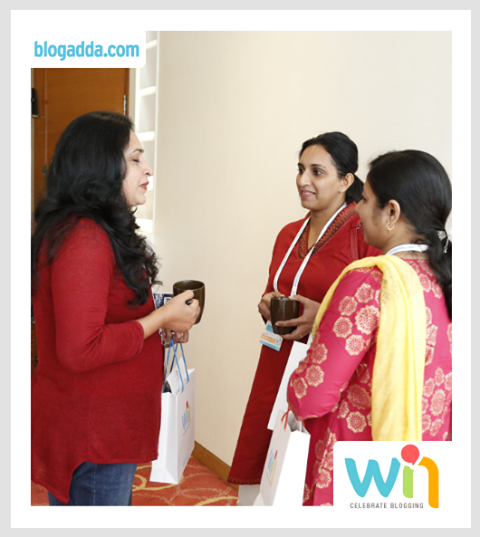 Therefore, despite my misgivings about the early / late hours I made up my mind to make it to WIN14, the Bloggers Conference hosted by Blog Adda. Here is one blogger whose posts have captured my imagination, and how! Every single post he wrote on Parentous left me smiling and feeling amaze at how seamlessly this man could mix the endearing character of a father’s love, or a child’s innocence, with crackling sparkling humor that had you in splits and left you wanting for more. A perfect blend of the heartwarming and the rib-tickling. To listen the creator of such fantastic posts speak, How could I miss that. And he didn’t disappoint me, not one bit. Many writers are reticent beings. The flair with which the pens are wielded does not always translate into the flair with which a microphone is held. Kavi though, is a master in both arts. His oration, diction, intonation and all the ‘tions’ were perfect as perfect could be. Much like the words he writes. 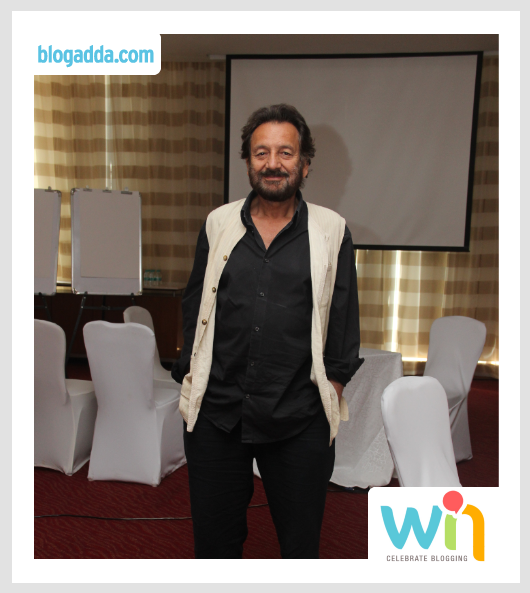 It was sheer bliss to hear him talk about his journey as a blogger, and why writing for writing’s sake is important. He said when you write to please others, you stop being true to your art, to yourself. I couldn’t agree more. I have grown watching this man making some of the finest art in my lifetime. When I was in school, my parents, and so I, always associated S K with quality – be it in acting, or directing or writing. I have not followed his work closely, but always have garnered a respect for him, as an honest, true to self, artist. And yesterday I met him in person. The depth of his answers for the questions delegates posed was profound, and my main takeaway from his session was – “Time is but an expansion of chaos. Imagine the waves of a sea. Every wave has a crest and a trough. If the waves are captured in a frame speed of 4 frames per second, you will get a /\/\/\/\/\/\/\/\/\/\/\/\/\ kind of picture. However, if you capture the same waves at a speed of a million frames per second, all you will see is a static crest and a static trough. That is, when the time difference between two events is very great, you will feel that everything is in a stable state, but when the time difference is very less, everything seems chaotic. Which is why, a certain AK’s actions today seem chaotic, anarchic and insane to us, while a certain MK’s actions, about a century ago, seem saintly. In its time, MK’s Quit India movement must have seemed as anarchic as AK’s to the people living back then.” What a thought! A conference such as this is always the best place for networking. I was happy to meet with some great bloggers, blogging on topics are varied as gardening and financial services, art for pre-schoolers and home decor. I am happy to have befriended a blogger from my own city, and we have some interesting ideas brewing already. So fingers crossed for a great association. How Anil P. met an old sadhu who had served in the British Indian Army during World War 1, how an innocent photograph taken by Anuradha Goyal led to rescuing a small boy from the clutches of child labor, how bloggers like Amit Agarwal played a key role in disseminating information during the pre-facebook and pre-twitter times of 2006 Tsunami… These were only some of the many stories that cemented the conviction in me that my blog will make a difference, somewhere, someway. That is inspiration and motivation enough for me to keep at it. And so many more! Not to forget the excellent arrangements and the food. There were somethings however, that I felt could have been avoided or done better. Although, this is a first attempt, says Blog Adda, so I am sure things will only get better in future. There were a few sessions in which one speaker overshot the entire duration without giving the other a chance to speak, thus causing delay in ending the session, or where three speakers spoke but there was no coherent message conveyed. Maybe better coordination between the speakers would have led to the sessions being more useful and effective. Personally, I failed to grasp the point of the entire session on marketing, travel and music. I kept wondering what they were talking and why should it matter to me. It didn’t. Either the session was an unnecessary inclusion or I did not understand the wisdom behind it. I do love music and travel and would have loved to hear something about blogging on these topics, but the content that was presented was entirely different. Having stand up comedy was a great idea. However, I personally was not able to enjoy most of the jokes that were presented. I looked around, and saw quite a number of others grumbling in the same manner. That show, with some really rude and lewd remarks, clearly did not work out well. It would have been a good idea if there was an ice-breaker session or something similar, so that we could recognize in person people with whom we interact online. The limited time during the breaks did not help me network as extensively as I would have liked, and today I found out I missed meeting a few bloggers I talk to often online. In all, it was a great experience and made the travel and other preparations quite worthwhile. Hope to be in another such conference soon. Good one. I truly agree that writing for your own sake is more important than writing for others. I think the blog is an extension of writer’s personality, so people read about other’s personality in some ways. Glad you agree, pathbreakingwriter! Thanks for stopping by. I wasn’t there… and so your post told me what really happened. Thanks. Stand-up comedy, I guess, generally tends to be irreverent and also brimming with sexist observations… it makes you laugh only when the link is local. Most of the jokes these guys come up with can be lifts from the western hemisphere and, therefore, fall flat here in this sub-continent. I would not have minded the sexist observation or the irreverence if it were not so crass and demeaning to the blogger community as a whole. As I said, it was not just me, a whole lot of people were looking at each other with exasperated glances. Would have been great if you could have made it Arvind. Thanks for reading. Interesting to hear your experience, Yamini! A neat wrap up of events. 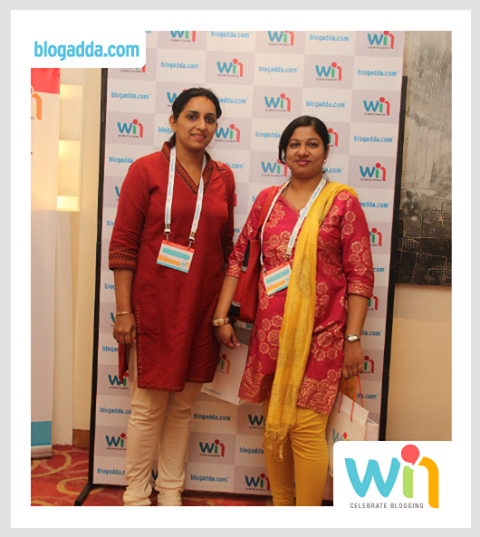 Thanks Rachna, would have been great to meet you! I wish I could attend. 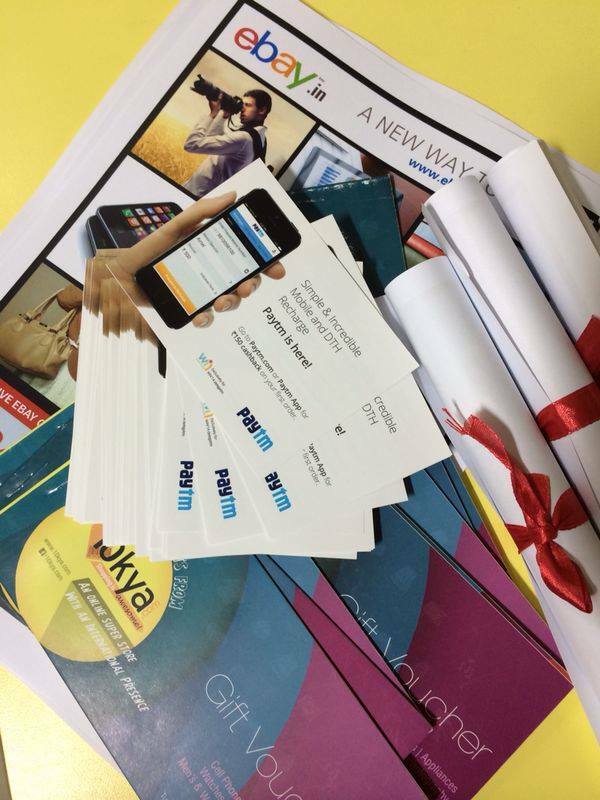 I live in Bangalore and could not make it for the event :). 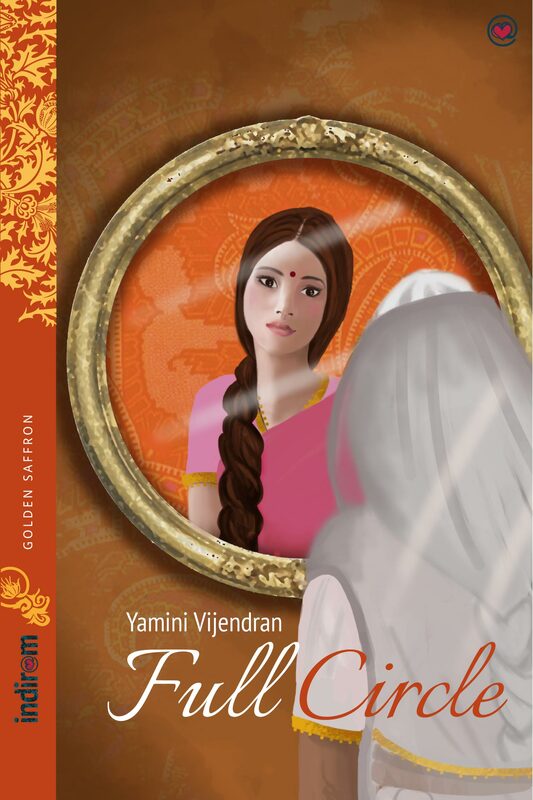 I was there too…Yamini. I fully agree with your views. The stand up comedy was not standing up as one would have expected. The conference was great. It was quite inspirational to meet so many bloggers there, all the while knowing that it was but a nano percentage of the number of bloggers in India. Thanks for stopping by Ram!